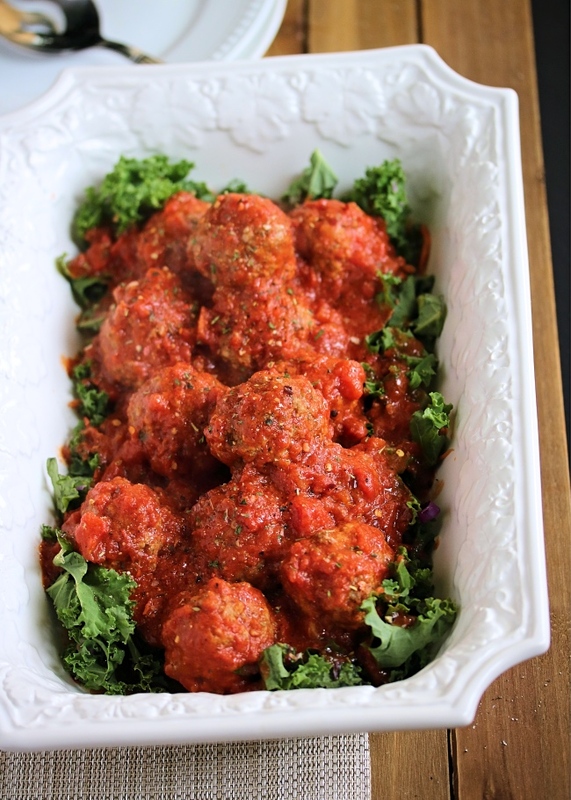 If you're getting tired of grilled chicken or plain ol' ground beef as a meal prep option, try meatballs! They're flavorful, filling- and just so fun. Eat them alone in your favorite garlicky marinara or scoop over spaghetti squash. Another favorite under meatballs or alongside any Italian dish? Roasted vegetables! I just LOVE the flavor of crispy oven roasted broccoli & cauliflower florets (plus some rough chopped garlic cloves). It's way more flavorful & filling than pasta for me, and just tastes so good. 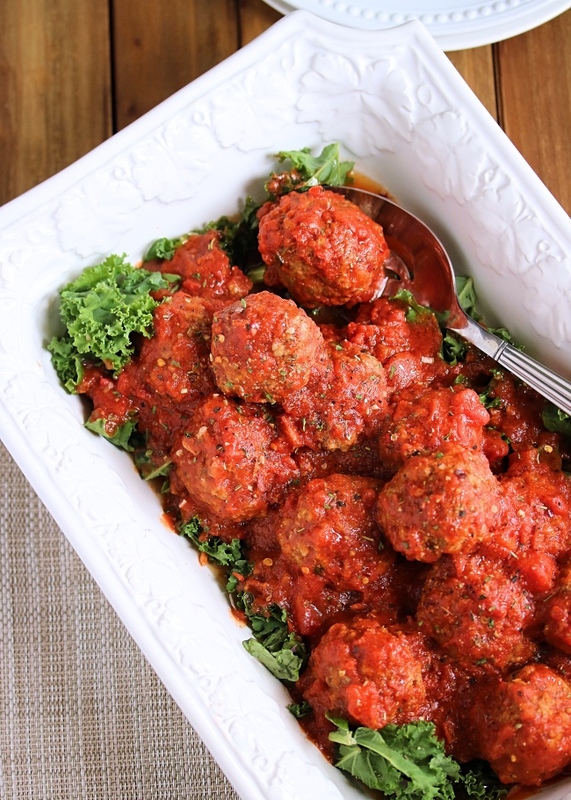 So while you make these juicy, yummy marinara meatballs in the Instant Pot, the oven will be free for roasting up vegetables of your choice, or a spaghetti squash! Perfect Whole30 compliant meal done in no time, and so easy to reheat as needed! Feel free to use whichever marinara sauce is your favorite in this recipe. I linked to my favorite that I find at Whole Foods, Target, and on Amazon.com below in the ingredients list. As long as the ingredients list has no sweeteners or non-compliant oils, you should be good to go! As far as ground beef & the pork sausage I mix in- I highly recommend the ButcherBox meats! They're what I use for all of my beef, pork, & chicken. Their ground pork sausage is Whole30 compliant (which can be tough to find!) and has the most wonderful flavor. 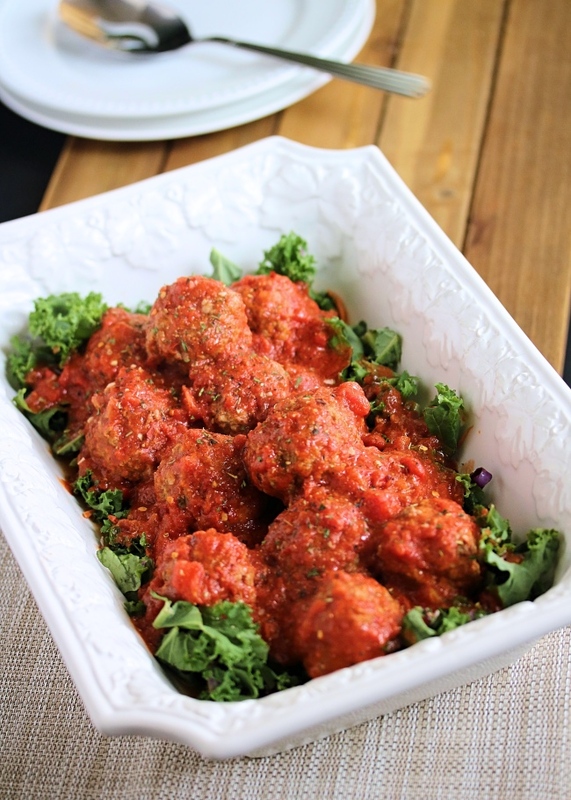 It breaks up easily & is just perfect for adding some juicy, savory richness to these meatballs! Shop ButcherBox through my link HERE, and get $10 off your first box! I hope you enjoy this satisfying (and easy!) Instant Pot dish! Happy cooking! Add about 1/3 of the marinara sauce to the bottom of the Instant Pot. In a mixing bowl, combine the ground beef & pork sausage with the spices. Mix thoroughly with clean hands. Roll the mixture into 1.5 to 2-inch meatballs, and add them directly to the bottom of the Instant Pot. 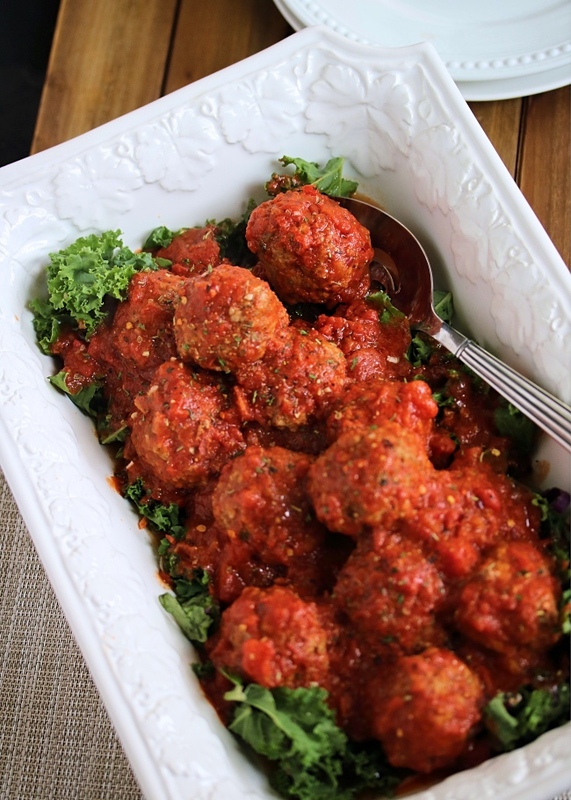 Pour the remaining marinara sauce over top of the meatballs, using a spoon to gently stir & coat them in the sauce. Place & lock the lid, making sure the vent is set to "sealing". Set to Manual, on High pressure for 5 minutes. Once finished, hit cancel and allow the pressure to release naturally for 10 minutes (allows the meatballs to finish cooking). Follow by a quick release to let out remaining pressure. Top the meatballs with chopped basil or parsley & serve over roasted broccoli & cauliflower florets or spaghetti squash. I double check that my marinara sauce is free of non-compliant oils (soybean primarily), any sort of dairy, and especially- sugar! Do you mix the pork sausage with the ground beef? I didn't see it mentioned after the ingredient list?